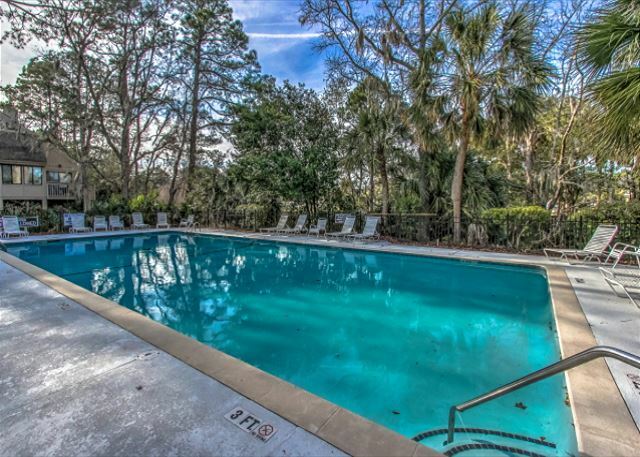 Ideally located for a short walk to the beach, a bike ride to Lawton Stables, or to the Sea Pines Forest Preserve. 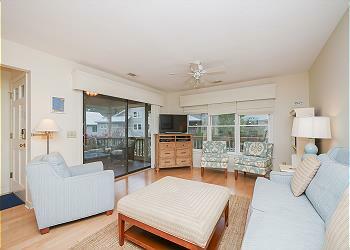 This elevated coastal chic cottage offers a high degree of privacy while being convenient to the resort amenities. This cozy, 3 Bedroom, 2 bath “cottage” with on-site pool is located in a pleasant, wooded sub-tropical setting. The main floor features the renovated kitchen, guest bedroom with two twin beds, a hall bathroom, living room, and dining room. 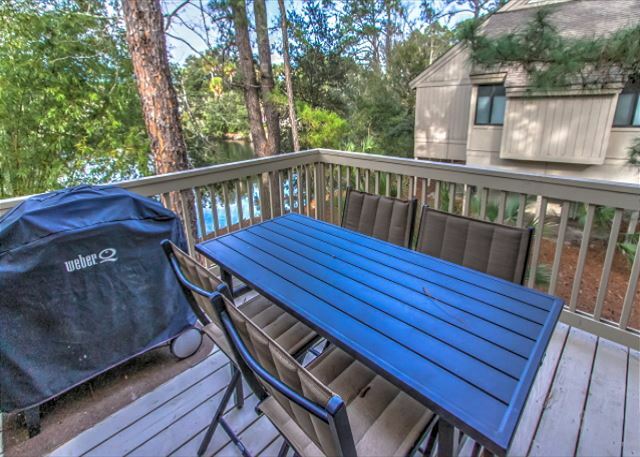 The dining room sliders lead out to a spacious deck overlooking a lagoon with a high-top bistro table, four chairs, and gas grill. Also on this level is the charming master bedroom and updated bathroom. Upstairs on the second level is the loft style bedroom with two twin beds. Perfect accommodations for those seeking close proximity to the beach with a tranquil setting or easy 5 minute drive to Coligny Plaza.